Have you recently purchased a new car, and are not quite sure what to do with your old Daewoo? We can help. We are currently looking for all Daewoo models, and we will buy your Daewoo regardless of age, mileage or condition. We are experts when it comes to buying used cars and are committed to helping our customers sell their cars in the quickest, safest, and most stress free way possible. What can you expect when you visit We Buy Any Car? You can expect unconditionally professional, fast, stress free service that is second to none. Our customer service team and Daewoo valuation specialists are honest, experienced and helpful and will provide you with a fair price for your used vehicle, regardless of its condition. Maybe you want to sell your Daewoo but have been turned away by dealers because of the condition of the car. That isn’t something you will need to worry about with us, because we buy any car! You have nothing to lose. Enter your vehicle’s details into our 60 second quote engine for an idea of your Daewoo’s value. Started in 1967, Daewoo was a major South Korean car manufacturer for more than 30 years. 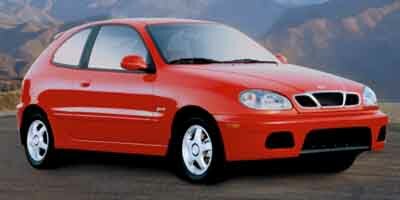 Daewoo cars were well known for their practicality and fuel economy, as well as for their safety features. Falling victim to the Asian financial crisis of the late 1990s, the Daewoo Group collapsed in 1999. Its automotive division was sold to General Motors in 2001 and since then GM has been rebadging Daewoo cars as models for several of their other divisions including Chevrolet, Pontiac and Buick.